I'll never forget the feeling I had a week after moving to our first duty station. We'd just settled into our townhouse right outside Quantico, Virginia, and my husband was already at work for twelve-hour days. I opened the front door to leave the house and an overwhelming fear washed over me. I realized then that I didn’t know anyone. Not a single person. I really struggled when it dawned on me that there was no one to call to meet for lunch or coffee. Everyone I knew growing up and throughout college were 24 hours away in the Midwest, happily together. You probably already know this, or will soon come to understand, but moving to a new place is hard. After a few PCS moves you begin expanding your friend group and soon find yourself already knowing a few people at your new location, but that initial feeling of isolation never completely dissipates. Here are 10 ideas for branching out when you first arrive at a new duty station. 1) Get connected before your move. 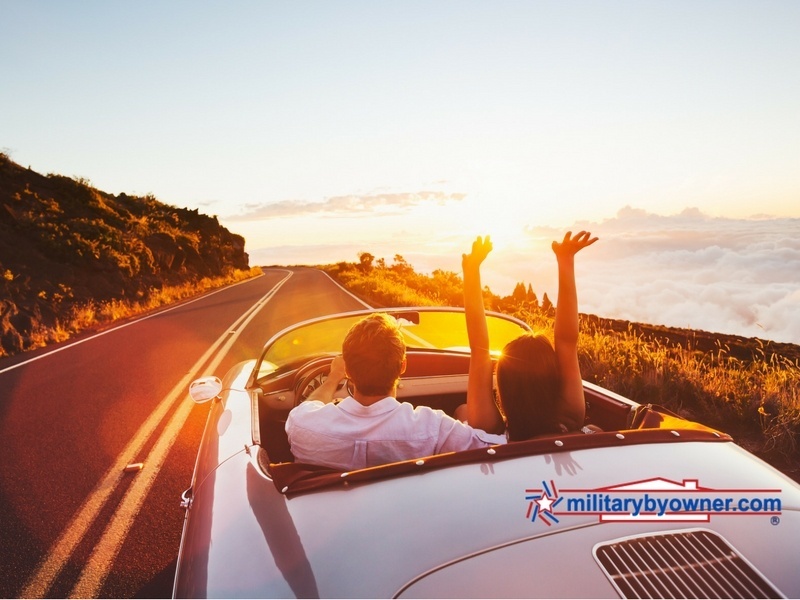 Before you even leave your current duty station, find your new military installation on Facebook and start connecting yourself with other spouses in that area. One friend shared that she schedules a time to meet spouses for coffee or brunch ahead of time so that it gives her something to look forward to when she reaches the area. 2) Visit a familiar place. Don’t do what I did on my first move. Instead of hiding in the comfort of the familiar things in your home, leave the house and go to the store. I start with Target. I regularly shop there and sadly find comfort every time I see that silly red and white logo. You will find, if you haven't already, that the smell, products, and sales are all the same no matter where you live. Yes, there are some better stocked than others, but trust me, it still satisfies. Start your adventure out of the house at your favorite chain and branch out from there. It sounds pathetic and it feels pathetic the first time you do it. You feel like everyone knows you are new and is watching you, but you wouldn’t believe how much you learn about your new area just by watching and being part of the local crowd. When I finally did venture out of the house at our first duty station, I went a local coffee shop and searched for jobs from my computer while I drank a cup of coffee or two! It was a task I was already doing at home, so why not sit somewhere that makes me feel more like I belong in my new town while I do it? Many friends recommend driving around every road, familiarizing yourself with the area so that you know where everything is and if you get lost, you can find your way home again easily. My husband loves to use the map on his phone as a security blanket whereas I drive around and learn from mistakes. Who do you think learns the area first? That's right; I do. I find that I learn the area more quickly and feel more confident when I’m out and about. My friend Sarah says, "Joining a small group Bible study and volunteering to serve in some way are key to getting to know people and feeling like a part of the community." Though it can be daunting to find a new church home, being a part of a faith community does a lot for your mental and emotional well being as you settle in. 6) Join a play group. If you have children, you know how challenging it can be to volunteer or find groups to participate in with your schedule. Find a local play group to be a part of so that both you and your children have an activity to participate in outside of the home. Not only will your children makes new friends, but you will as well! Don’t choose your favorite chain restaurants for your dinners out. Instead, try a new local place each time. This can help you feel a part of your new community. In fact, sign up for a local foodie tour in your new area! MilitaryByOwner co-owner Sharon Gran, Content Editor Jen McDonald, and blog writers Dawn Smith, Mary Eckberg, and I participated in the Mangia Food Tour in Washington, D.C. recently. During our tour, we learned about the Italian influence within D.C., which was brought in during the 1800's and early 1900's, as well as the history behind each locally owned Italian restaurant we sampled. Within just a couple of hours, we were able to learn more about the city and find great locations to take our families out to eat. We definitely recommend a foodie tour as a delicious way to get acclimated with the culture at your new duty station! 8) Get a library card. Getting a library card is one of the the most highly recommended things for a spouse to do when moving to a new area. It gives you a place you now belong to, provides you with access to endless amounts of books to read, and connects you with local events. Follow local news feeds on Facebook and find out which bars or restaurants host trivia night, locations of farmer’s markets, and live music nights. Every time I move somewhere I am deceived into thinking there is not much to do; however, I think it comes down to a matter of finding the right source of information. The "Seasoned Spouse" has a great post with ideas about being a local tourist. Big or small, each base has something to offer military spouses. While at Quantico, I volunteered with Women of the Chapel, and L.I.N.K.S. In Corpus Christi, I volunteered time with the USO located on base and served lunch for active duty servicemembers each Wednesday. This does not even include the spouse groups associated with your unit or squadron. A military spouse friend shares that the first thing she does is join the base spouses' club and takes on a board position if any are available. It gets her involved and connected with people that can share with her local trends and events. RELATED: 5 REASONS FOR MILITARY SPOUSES TO VOLUNTEER! You can also get involved by looking at bulletin boards posted at your commissary, gym, and exchange and see which organized groups are a good fit for you to join. Most bases, if not all, offer spin classes and running groups, coupon groups, or small groups. Find out what is available near you and try it out to find your niche. Isolation will be a part of every move you make, even though it does get easier over the years. Find which tips work to get you out of the house and stick to them. You may not always feel like venturing out, but know that the sooner you do it, the sooner you feel at home. What is the first thing you do when you move to a new duty station? 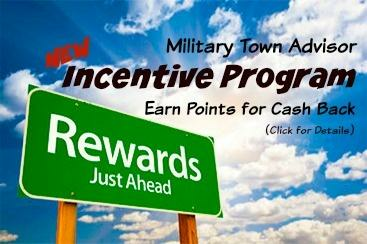 Have helpful tips or neighborhood reviews to offer other military families coming to your location? Click below to leave a review and find out how you can earn rewards!